Feeding Families In His Name, a free community dinner at First United Methodist Church, is each Wednesday evening. Pictured is FUMC, located at Third and National Street. Courtesy photo. The Bourbon County United Methodist Parish churches have been gathering coats and blankets to give away to those who need them. West Liberty UMC led the drive and used Feeding Families In His Name as the distribution site for two weeks, according to Jean Tucker, coordinator for FFIHN. Linda Deere was the contact person for the drive. “The Beacon brought us their donated coats and blankets, also,” Tucker said. 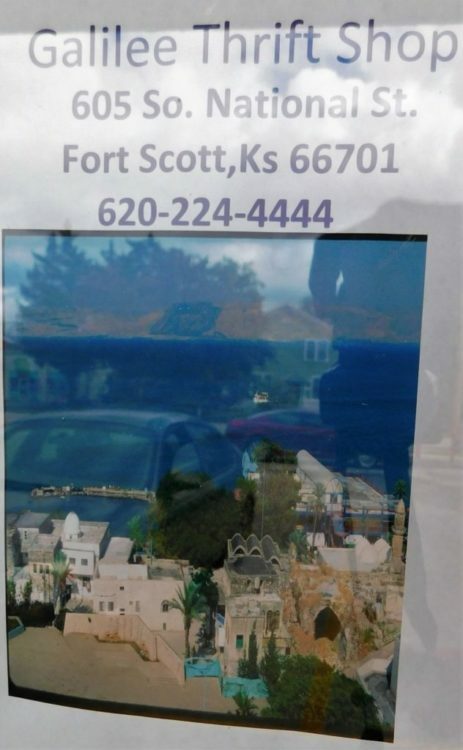 The Beacon, located at 525 E. 6th, Fort Scott. ” We helped them (Feeding Families In His Name) with a lot of coats,” Carol MacArthur, president of the Beacon Board, said. The remaining coats, all adult sizes, have been donated to Gallilee Thrift Store, 605 S. National Avenue, for them to distribute for free to those who need coats. 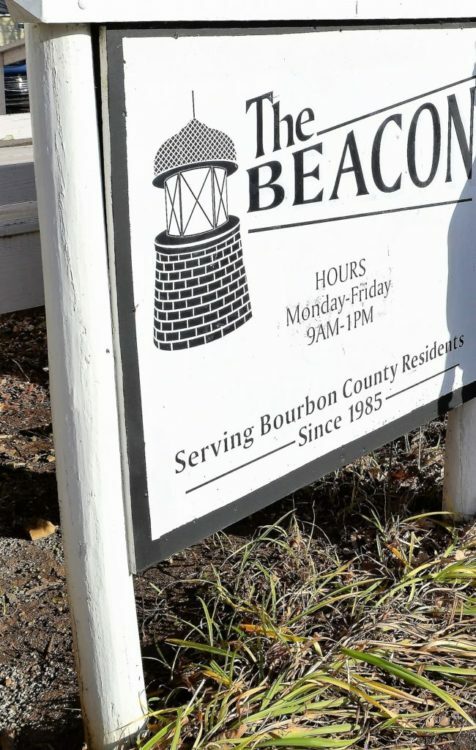 The Beacon, a local helping agency, recently stopped taking donations of clothing and household goods, as of Oct. 31. 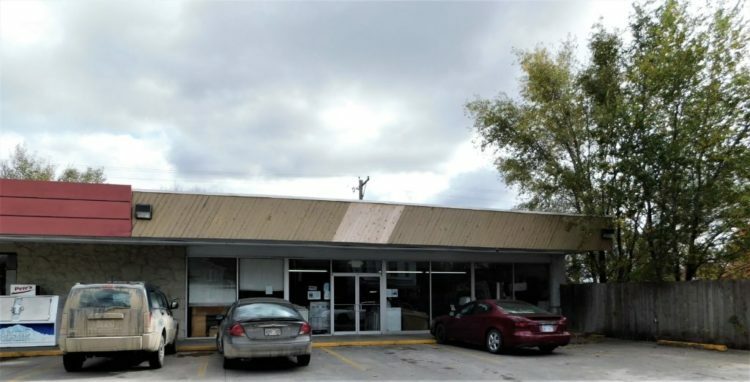 The Galilee Thrift Store, on National Avenue, south of Pete’s Conoco Convenience Store. 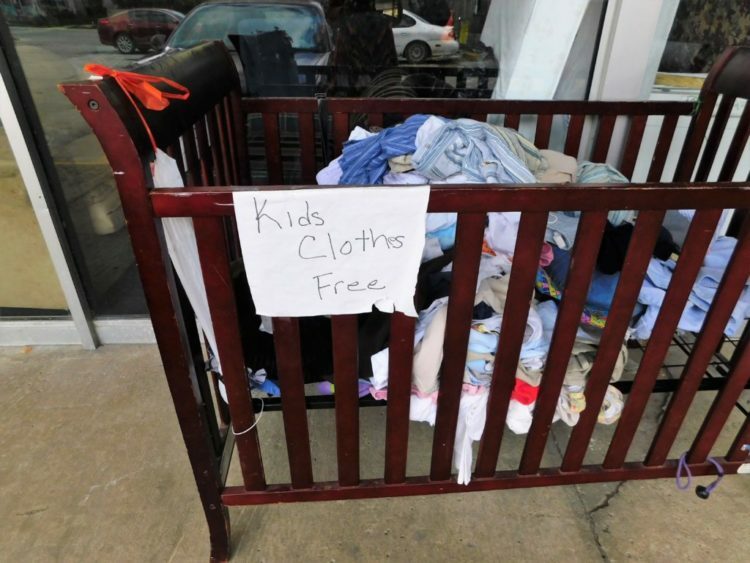 Children’s clothes were left in front of the Galilee Thrift Store to give away on Friday. 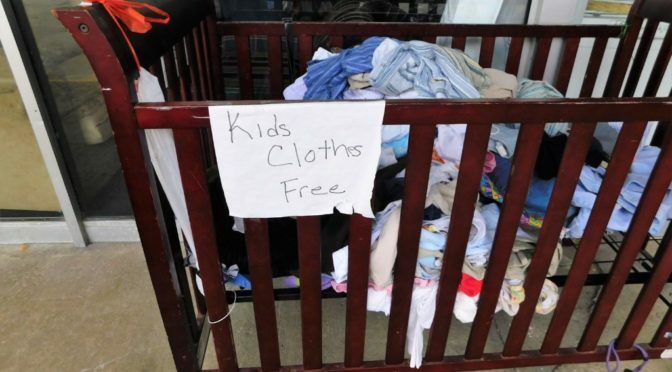 Additionally, Mother to Mother Ministry, 728 S. Heylman, has clothing to give away. 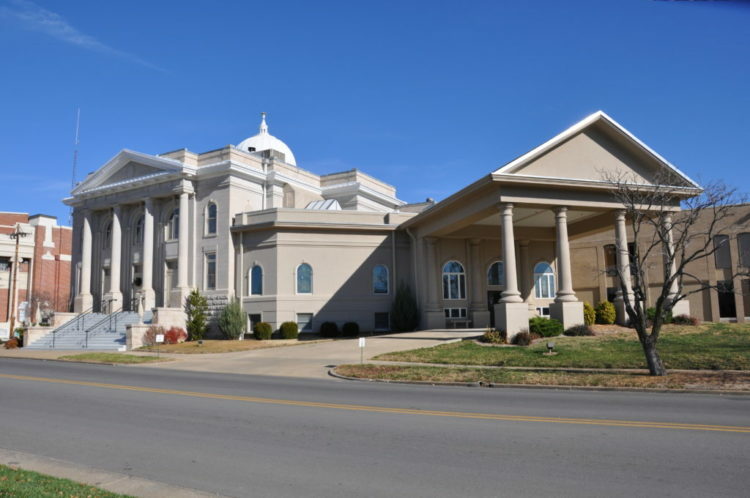 Each Wednesday evening at the First United Methodist Church, located at Third and National Avenue, a free community meal is served from 5:30 to 7 p.m. Entry to the church basement kitchen is on the Third Street side of the building. This FFIHN ministry has been doing this since 2011 and feeds between 125-130 people a week. The Beacon provides food in the form of groceries to their clients and will continue to do so. In addition, The Beacon helps in other ways. “We do feed families, and we do help them with funding for prescriptions, rent, and utilities,” MacArthur said.